An acclaimed German, eighteenth century man, Karl Lagerfeld is modern, avant-garde, intellectual, and well traveled. Lagerfeld always has controversial comment up his sleeve. Personable, yet well versed about the fashion industry and beyond, he is every journalist’s dream. Even John Fairchild admitted that Lagerfeld has played the media like a symphony orchestra. But now, Mr. Lagerfeld plans on using his witty punch lines for something other than just interviews… He is now launching his own personal newspaper. 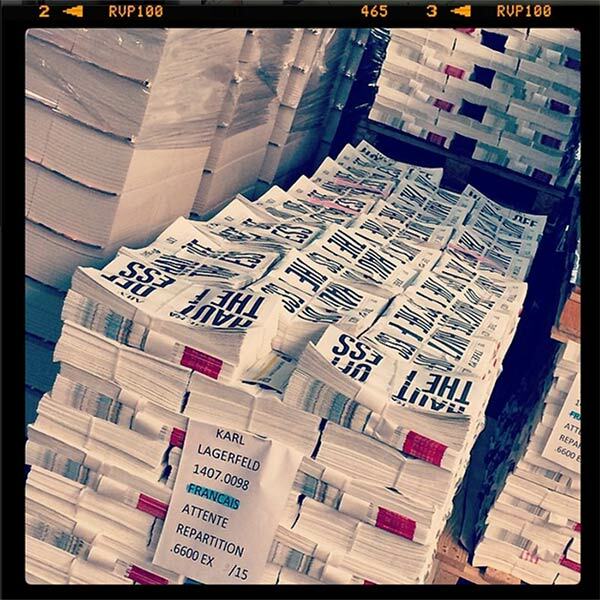 Over 150,000 copies of Karl Daily will be available at hundreds of newsstands all over Europe and Asia. Just released on September 20th, readers will be able to participate in an online competition on Karl.com. The front page of the paper screams “Haute Off The Press,” and embraces Lagerfeld’s satirical introspective on fashion trends and collections. Choupette Lagerfeld, as guest editor, has also sealed the newspaper with her paw stamp of approval. 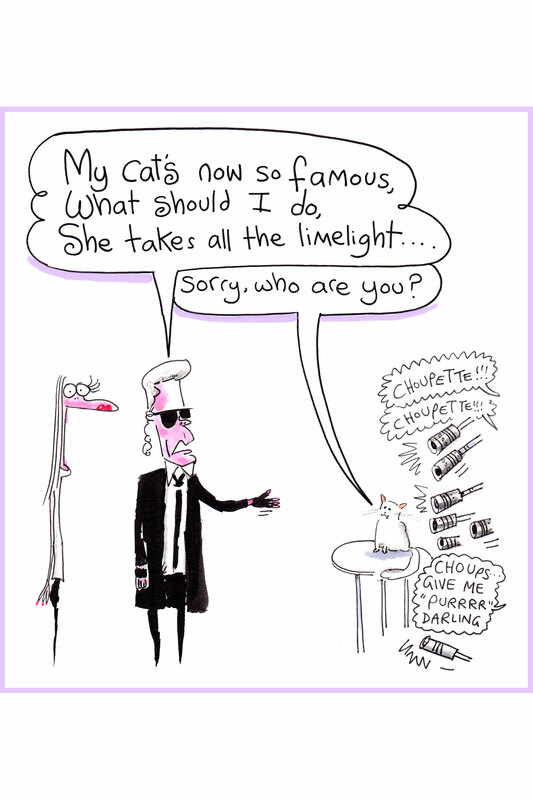 Lagerfeld even jokes his cat is now more famous than he is. Lagerfeld openly admits to being a “paper freak,” and prefers the “sensuous” paper version of books verses reading stories on his iPad. Lagerfeld’s growing appetite for reading anything, and practically everything will probably help prove himself as a substantial writer. Topics range from interviews with Mr. Lagerfeld concerning recent collaborations, to feature articles on upcoming projects and products. Sneak-peaks of new looks for the upcoming season along with amusing horoscopes, sports news, and gossip will leave readers tickled pink. Marcus Laye and Emily Johnson, are also a few United Kingdom fashion bloggers you should be on the lookout for and will be featured in the Karl’s Kid Style section. So now instead of interviewing Karl, he will now be interviewing you! So be sure to have something significant to say!